The method of producing electricity greatly influences the cost of production. The costs include both the capital costs (for example, it costs over 2 billion dollars to build a nuclear plant) and the ongoing maintenance and operational costs. 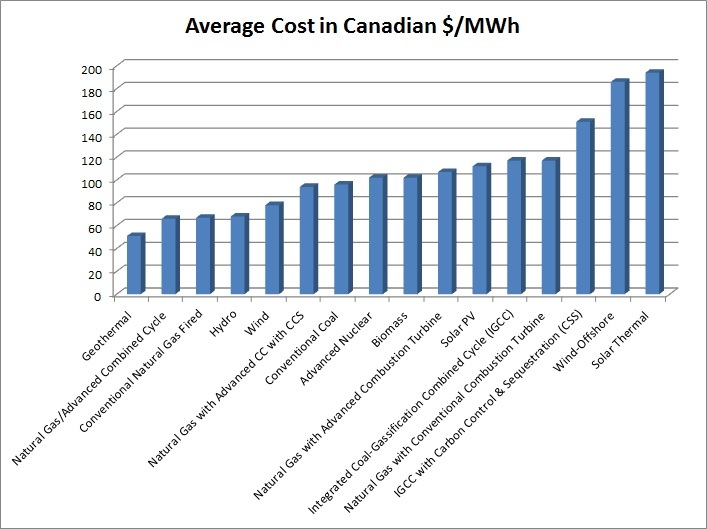 Here we show various methods by which electricity is produced and the average "all in" cost for each method (courtesy of this Wikipedia Article).